Dr. Phil Kamins, also known to his patients as the original “Dr. 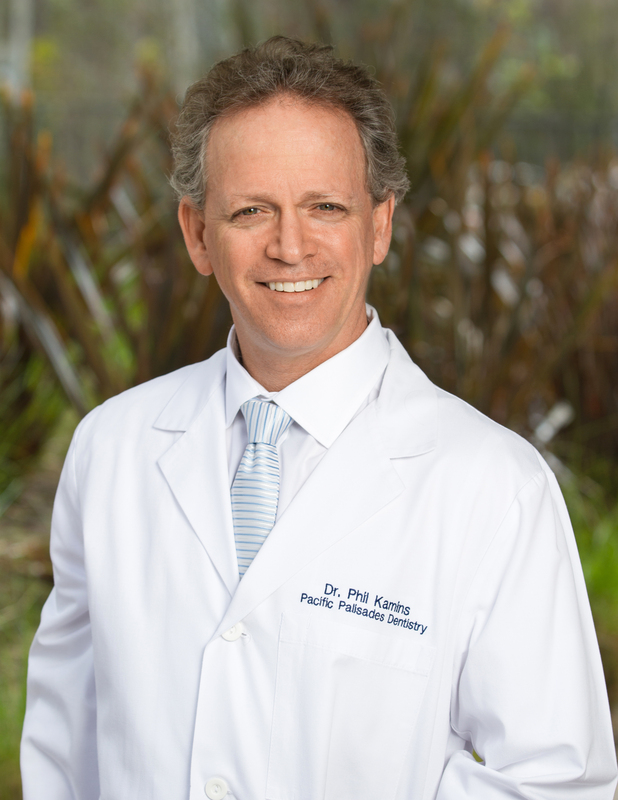 Phil,” has provided comprehensive dental care to the Pacific Palisades community for almost 30 years. He has extensive experience in the treatment of children and adults, with an emphasis on preventing dental disease. Prior to opening his office in Pacific Palisades, Dr. Kamins practiced dentistry in Eilat, Israel for two-and-a-half years. He founded a dental clinic there sponsored by Kupat Cholim Maccabee, providing the residents an option for state-of-the-art dental care, which continues to this day. Dr. Kamins knows that every patient who comes into the office has a certain level of what he calls, “dental awareness”—that is, information about dentistry in general and knowledge about what is happening specifically in the patient’s own mouth. Dr. Kamins’ goal is to raise that level of awareness by demystifying dentistry to make the information more accessible for his patients. Through this process, the patient becomes a partner in the improvement of his or her own oral health, and by extension, the patient’s health in general. Maintaining healthy tissue is central to Dr. Kamins’ treatment philosophy, and he utilizes minimally invasive techniques every day to achieve this goal. Dr. Kamins believes in individualized care and examining the treatment options available to each patient prior to commencing treatment. Click the button below to learn about our team.